A new entry at number two is Irish based Lisa McHugh and her album Country. Another new entry is Justin Moore’s Kinda don’t care, which includes the hit single and big radio air play song, You look like I need a drink. The top 10 includes seven albums which have been number one, including Ward Thomas’s From where we stand which has spent a total of 82 weeks on the charts. Interestingly only one album from the country chart makes an appearance in the overall album chart. 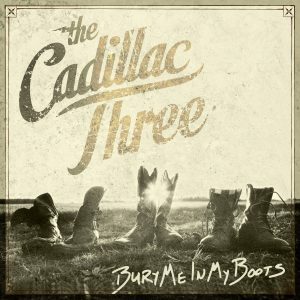 Not surprisingly it’s this week’s number one from Cadillac Three which is at 85 having dropped from last week’s 33. In the Billboard chart in the US Blake Shelton is number one and Cadillac Three at number five. A new entry into the US chart is Way down in the jungle room, a compilation of old material from Elvis Presley. I’m not sure how this is a country album but then Steven Tyler is in the both the US and UK country charts and I didn’t think he sounded very country at CMAFest.